2018 is done and dusted, and the new year is in full swing. Many of us will have made a few resolutions to guide us towards a healthier 2019. One of the most common goals going into a new year is weight loss. After all, external pressure to be thinner is overwhelming. But, losing weight is not only about looking great. Implementing positive lifestyle changes for weight loss can do wonders for our physical and emotional state. Reaching your fitness goals is a surefire way to feeling comfortable in your own skin. It will help you feel more energized when tackling daily tasks. It will help you handle stress better. Weight loss is an important achievement if your reasoning is in the right place. 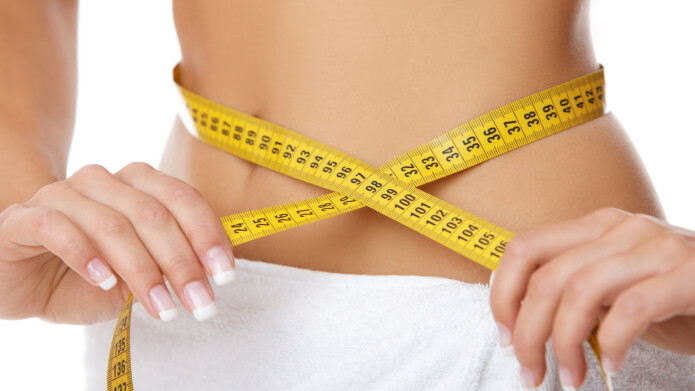 The only problem is that promoting weight loss can be a strenuous undertaking. There is so much information out there telling us what we should and shouldn’t do. Furthermore, there are so many people telling us weight loss misconceptions. As a result, our ideas about fat burning may become twisted. For example, we may believe that it is a quick process. Sure, the Top Keto Products will help you achieve weight loss more efficiently. But, weight loss is a lifelong endeavor. And, implementing proper healthy habits will get you to your goals more effectively. In saying so, we have outlined a few things that no one tells you about weight loss. These handy tips can support your desire to burn fat and lose a few pounds. There is a dangerous weight loss misconception that exercising will effectively lead to results. There is some truth in this statement. Performing cardio exercises can burn calories while lifting weights can build lean muscle. However, you cannot completely rely on exercise for achieving your weight loss goals. This is because of the fact that what you consume plays a pivotal role in your weight gain vs weight loss. For example, the more you eat, the more you will need to exercise. The problem with this is that there is an optimal workout time for weight loss. Workouts should last between 45 minutes and 1 hour. This is because of the fact that the bodily functions supporting weight loss are working at their most effective within this timeframe. Exercising for longer will cause testosterone and other important chemicals to deplete, therefore, minimizing the impact of your workout. Furthermore, eating healthy will support workout performance. It will also ensure that your body receives the proper nutrients to support weight loss. Regular exercise and healthy eating are both crucial for losing pounds. Sure, skipping the gym and binging Netflix with a bag of chips in your hand won’t do you any good. But, a little time watching some humorous television can aid weight loss. The reason for the wild revelation? Well, light-hearted and humorous shows can help relieve stress after a long, hard day in the office. Stress is extremely detrimental to your health. Too much stress can lead to weight gain as well as make it more difficult to perform weight reducing rituals. Laughter, on the other hand, encourages calorie burning. Researchers found that an hour of laughter can burn as many calories as a 30-minute gym session! In saying so, we recommend skipping the lengthy episodes of True Detective for a couple of bite-sized sitcoms. Drinking excessively sugary alcoholic beverages is a go-to way to packing on the pounds. However, if you don’t want to cut out the booze completely then a glass of wine a day can help reduce your weight. Studies highlight the popular drinks ability to release fat. A massive study with 19,000 women showed that those who drank wine sparingly were less likely to put on weight. This is most likely linked to the fact that Resveratrol is an important antioxidant found in wine. It is known for a number of health benefits, including improved exercise performance and diabetes prevention. There is no one way to lose weight. Achieving the goals requires a lot of hard work and trial and error. What works for you may not work for someone else. A lot of us know the classic weight loss tips. Hit the gym and consume quality health supplements. However, there is more to weight loss. By combining exercise with healthy eating, watching a few humorous tv shows, and sipping on some wine each day you can support your weight loss programme.